Here are five big questions facing the San Diego Padres for the upcoming offseason. 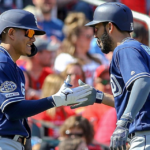 The 2018 season has not exactly gone to plan for the San Diego Padres when they set forth on their journey in Peoria this past March. There were hopes of an improvement from last year as far as wins or losses were concerned. 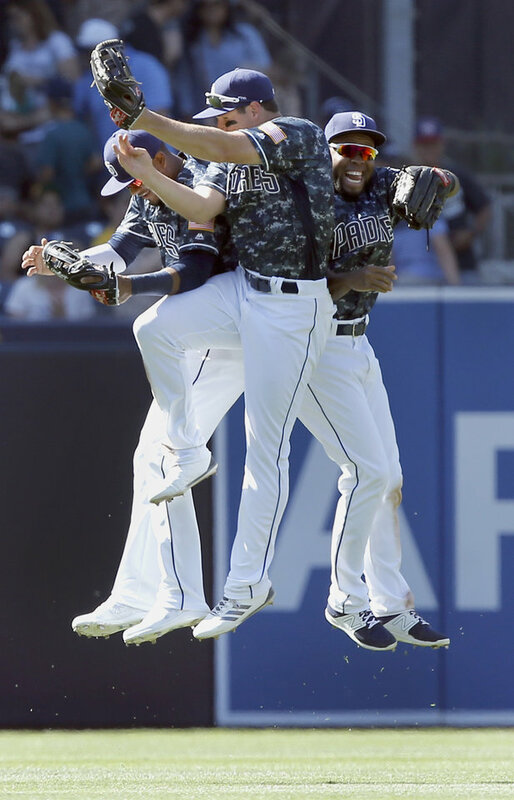 The Padres will need to go 17-4 in their final 21 games in order to finish one game over the 71-91 total they accumulated in the 2017 season. It does not seem likely. 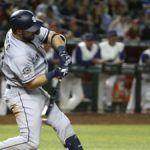 The Padres should be busy this offseason, as there are many issues on the team that need to be addressed. Here are five main points of interest heading into the offseason. This is a big question. Some think the two can play together on a 25-man roster and provide the best of both worlds, but I am not too sure about this. Hedges is a defensive specialist, while Mejia has a plus bat from both sides of the plate. To complicate matters Hedges has progressed with the bat, which was considered a huge liability and Mejia has shown much better defense than what was reported by the national media. The next few weeks, witnessing Mejia against major league pitching and how he works with the staff will be vital in making a decision. Both Hedges and Mejia have very good value right now and the Padres could feel that moving one of them soon is the only way to get better as a team. If both platoon at the position, some would argue the Padres would stunt their value. We will see what the Padres do in this regard. It is a very nice problem to have. Wil Myers at third base? With three errors in one game last week, this is of real concern. Myers has shown flashes of being able to play a decent third base, but at the same time he has also looked lost occasionally at the hot corner. 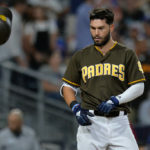 Will the Padres continue to play Myers at third base in order to get more at bats for Franmil Reyes and Hunter Renfroe? For 2018, the answer is yes. Myers has also had issues with the bat since being moved to third. This is probably a coincidence, but still concerning that Myers has been unable to find a consistent swing. 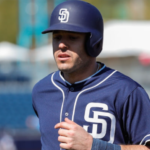 For the future, the Padres have no real option beyond Christian Villanueva at the position. Keep an eye on Myers as the team evaluates his positioning and foot work. His bat dictates that he will be in the lineup. Putting him at third solves one issue, but it cannot lead to another. Both Renfroe and Reyes have established themselves as players that deserve to be in the lineup on most nights. With a healthy Franchy Cordero returning next season, what are the Padres going to do? Manuel Margot deserves plenty of playing time, right? Renfroe, Reyes, Cordero and Margot can’t all play at the same time. Then there is Travis Jankowski who is having a great year and probably needs a start or two during the week at the very least. This is another great issue for the team, as they have plenty of potential options in the outfield. There will be some broken hearts in San Diego no matter what the team chooses to do, as all have played well and deserve some sort of playing time. A.J. Preller will be in full evaluation mode for the next few weeks on all these men. 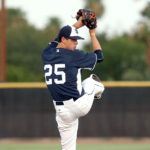 With all the pitching youth in the system, the Padres could be looking for an established young ace. There were discussions with the Rays before they dealt Chris Archer to the Pirates. There was also reports that the Padres were talking to the Mets about Jacob deGrom and Noah Syndergaard. A.J. 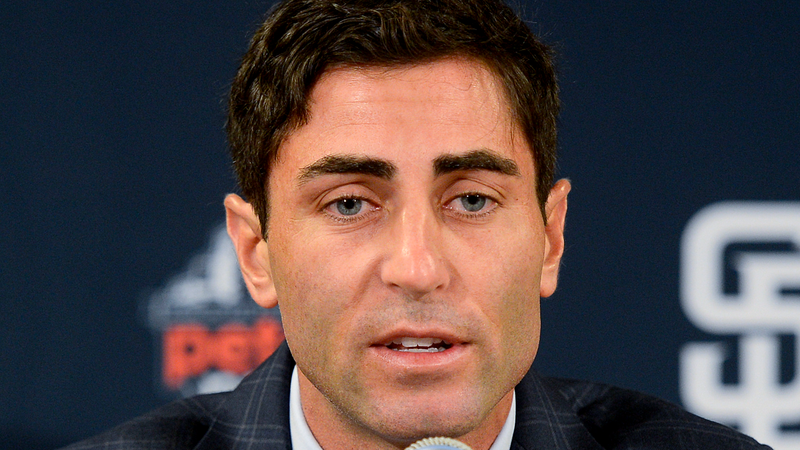 Preller seems like he is exploring this route as the Padres do have some depth in the minor leagues. Eric Lauer, Jacob Nix, Joey Lucchesi, Brett Kennedy and Walket Lockett are all young and have made their major league debut. Cal Quantrill, Logan Allen and Chris Paddack are very close to than honor. By this time next year, the Padres will have almost 10 rookie or second year pitchers on the 40-man roster. That is pretty amazing. All this youth needs a mentor or leader and Clayton Richard is not that man to head the tip of the rotation. What will the team do? Sending prospects away in a potential deal is a scary thing when you have a rebuilding team. The Padres surely do not want to deal any player that could have a long lasting major league career, but they are at the point where some of the “lava” might get backed up. There is a point when you might have to make a decision in regards to dealing young players. Might. 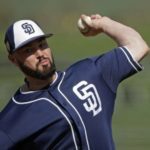 The Padres have depth at the catchers position and also have dozens of pitching prospects. They could also choose to move an outfielder as the team has plenty of youth on the roster currently who play the position. The Padres could very easily get viable major league talent in return for prospects if they choose to go down that road. This is a risky thing and there are some issues that could arise from this strategy. 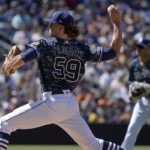 The way the San Diego Padres roster is currently constructed, there will have to be some moves. The team has great strengths in some areas, while there are also glaring weaknesses that need to be addressed. The 2018-19 offseason should be interesting as this franchise takes yet another step into relevancy. not sold on Margo. Perhaps include him in a package with Mejia for a vet starter. I would like to see one full season of Cordero in CF. They need to retain Galves for at least one more season. We are stuck with Meyer and might as well use him at 3rd. Never understood the Hosmer move, still feel it is Prellers biggest mistake. Love all the young arms. People are eager to trade Naylor, but his AA slash line is .297/.383/.447. He has the on-base skills that a lot of these other outfielders lack — Franmil at AA was .258/.322/.464 and Renfroe at AA was .259/.313/.425. I am convinced that his stats would be much higher if he were only playing his natural position, first base. If he only plays 1B in AAA he will likely have huge numbers, and his value will go up tremendously (on the trade market). Unfortunately, Naylor is just more collateral damage to the Hosmer signing. Good job. Those are definitely the top 5 on the field questions for 2019. 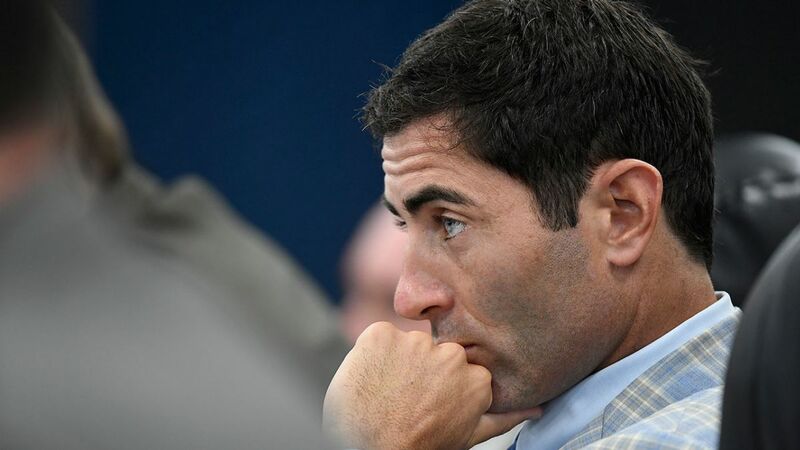 1) Should Preller continue as GM? Not will he, because the beer distributor who owns the team has already extended him, but should he. This team has not sniffed .500 ball, pays no attention to roster construction (2015 when Myers played CF! ), and has flubbed every big money decision made. It is possible that they will need a new GM to make smart, big decisions and take them to the playoffs. 2) Trade Hosmer or Myers? Hosmer has a no trade clause and has put up an awful 2018, so trading him might be impossible. So it’s Myers that has to go. Problem is he doesn’t look like a winning player, will be 28 this off season, and seems to not understand that there is more expected of him than what he has done. He needs to stay healthy and put up much better numbers. This kind of profile does not offer very much trade value. There is no way Myers will headline a trade for de Grom or Syndergaard or some other ace pitcher. There is some urgency to moving him now as he becomes prohibitively expensive after 2019. It bears noting that if he hadn’t been extended this wouldn’t be a problem, you could just trade him and be done. It was the premature, ill-conceived extension that is at the root of this. Hedges is the long term plan! My preference would be any trades be limited to blocked players like Josh Naylor and Austin Allen along with one of the current major league outfielders and either Hedges or Mejia. You can never have enough pitching and I would like to see the top starting pitching lava in the minors retained. I feel like now would be a good time to trade lava because of what you mentioned that Paddack and Allen will hopefully be in the rotation next year. Also Tatis should be in the top of the order and I believe that lineup alone will give the NL West a run for there money!! Let’s go daddy’s!! they need to get people to hit and get on base dude, how are we even going to compete? even if tatis hits like .400 what are they supposed to do about Myers, Hosmer, Margot, or whoever else is supposed to be starting? no one on the team is getting on base. just look at Reyes. the dude is hitting all these home runs all the sudden and he only has like 10 more rbi’s. Thats crazy.